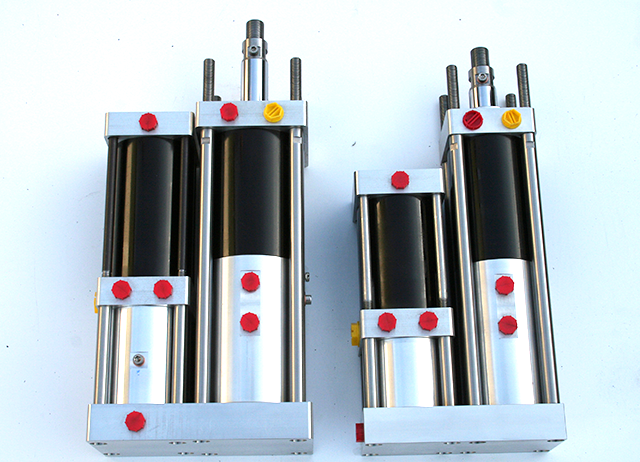 In 2001 the company expanded into the manufacture and repair of hydraulic rams. Whatever your hydraulic rams are, whether it be single acting, double acting or displacement, we can offer a cost effective repair service, from a replacement of damaged seals to a complete refurbishment. Damaged rods, glands, barrels and other components manufactured in house to your requirements. We can manufacture complete new rams to your specific specifications of open and closed centres, stroke length, dampening, barrel/rod size and mounting style. Over the years we have manufactured rams for a variety of industries from agricultural and food industries, to west end musicals and the film industry.